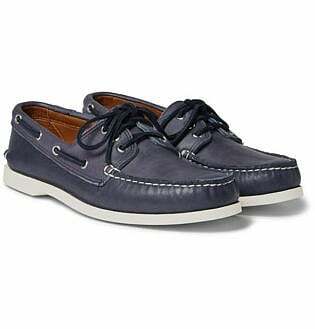 One of the welcome remnants from the men’s nautical trend that graced us a few years ago is the boat shoe. It is something of a footwear chameleon, able to be dressed up or down while sending the message of sophisticated but comfortable. It’s a shoe most likely to be spotted by the hundreds in the members’ section at the cricket, or anywhere Pimm’s is served, although it’s so much more versatile than that. 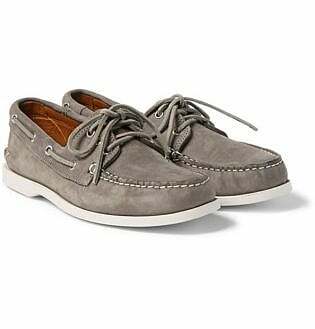 The modern boat shoe has its roots in the 1930s as a solution to a severe lack of practical footwear for boating. Their inventor found inspiration in his dog’s ability to run along ice without slipping. 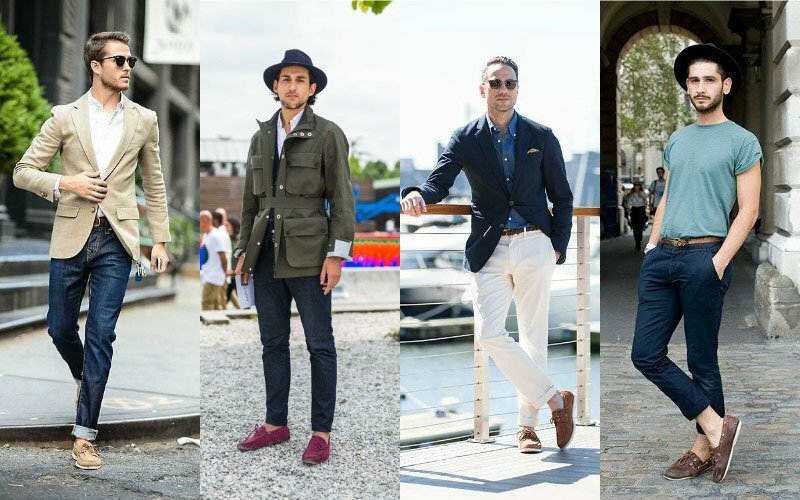 Today’s boat shoe is more about the style, and given its versatility, should find itself in every man’s wardrobe before summer. 1 What are Boat Shoes? 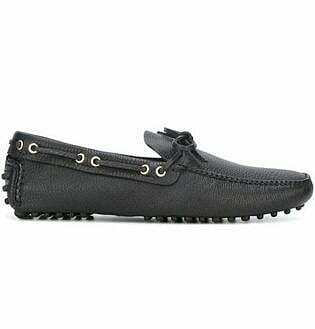 The boat shoe comprises a soft rubber sole and an upper section usually made of a treated leather or canvas. With a low, below-the-ankle profile, boat shoes lend themselves well to warmer weather. They feature short, typically leather, lacing on top with decorative laces around the sides, cutting a distinct silhouette. With a huge amount of choice in colour, material and design, it’s no longer just a case of choosing from one pair of navy and cream top-siders. Typically, we baulk at the idea of steadfast rules for dressing that must never be broken, but boat shoes do come with a couple of recommendations. Firstly they are, for the most part, a warm weather shoe. 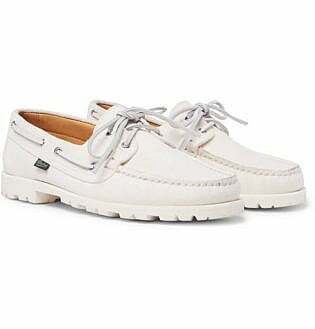 Given the low-profile and dressed-down look of a boat shoe, it lends itself well to the summer wardrobe. Luckily, if you find yourself in a cooler climate, you’ll be able to wear your boat shoes outside of those summer months. It is important to pay attention to what you’re wearing with boat shoes. It’s not simply a matter of matching the colour of your shoe to your belt. As a rule, don’t try to make them work with a tux or a tie. Socks are best avoided too, although we’ve got some pointers on how you might break this rule. Boat shoes do their best work as a subtle counterpoint to the rest of your outfit. Dressing semi-formal? Let them do the heavy lifting in creating a more approachable aesthetic. Hot enough for shorts? They can bring some maturity to an outfit that might otherwise be lost. The dress code ‘smart casual’ seems to bring more confusion than any other. 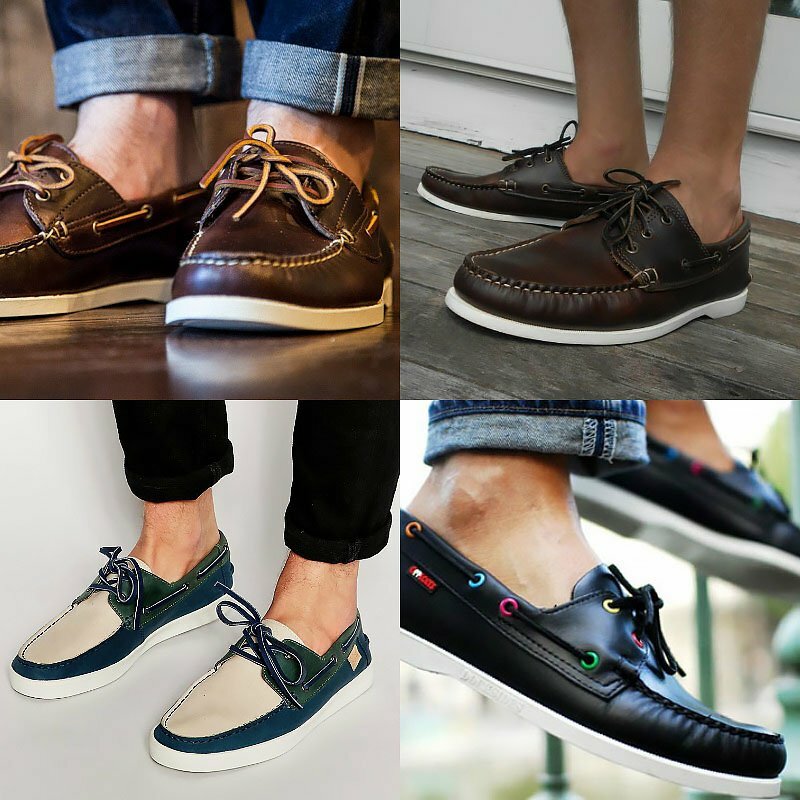 By its very nature, it is a subjective and vague term, but there are few clothing items that exemplify the smart casual spirit better than boat shoes. 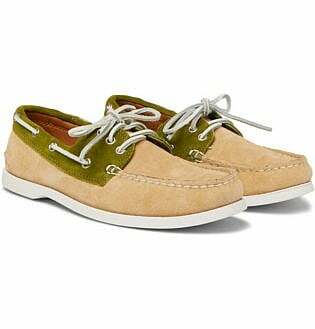 Chinos and boat shoes go hand-in-hand and will grant you tremendous versatility for a variety of events. Rolling up the trousers’ cuffs lend an air of effortlessness that’s very necessary for the smart casual realm. Shorts are another option with the right context and outfit. Opt for a good fit, and pair them with a tailored shirt for balance. For footwear, it’s best to choose natural colours. 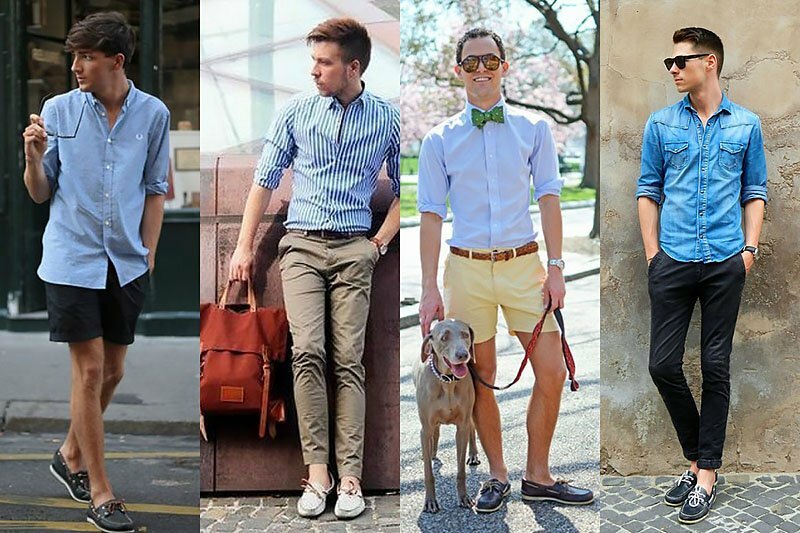 For a summer vibe, pair some shorts with navy, tan, white or pale blue boat shoes. Another dress code with a loose definition, business casual slots in as slightly less stiff than your traditional corporate wear. 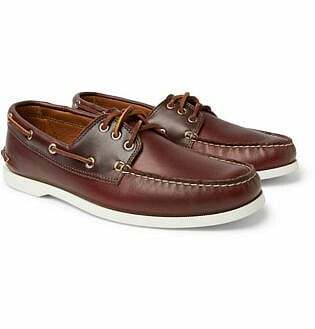 Many may scoff at the idea of boat shoes for any business setting, but in the right circumstances, they can not only work but act as a punctuation point to an outfit. Be sure to err on the side of caution when it comes to colours and styles, and you’ll save yourself from sending too casual of a message around the office. Darker leather boat shoes in tan or brown complement deep navy’s, greys and blacks that are hallmarks of a business-casual aesthetic. Keep the cuffs on your chinos or tailored trousers rolled down and again, respect your colour combinations. Be smart and your boat shoes will tie together a great business casual outfit. Shoes are central to the entire semi-formal look. 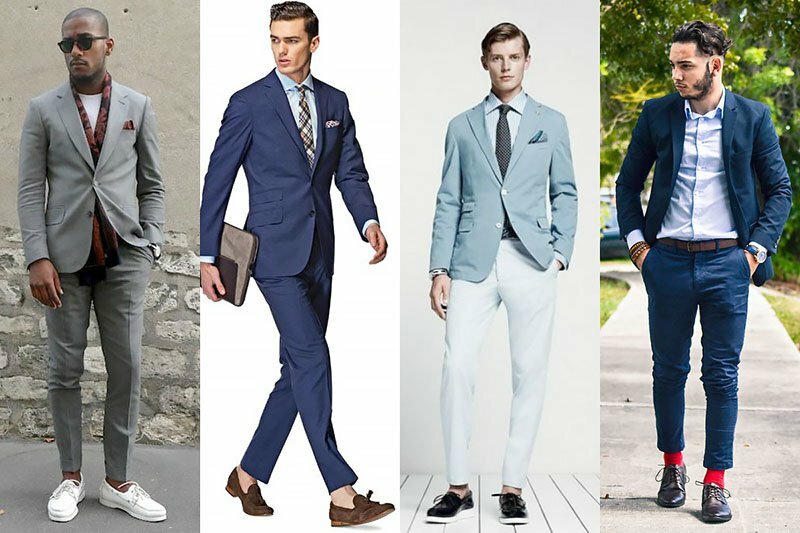 If you’re donning a suit, the shoes are one of the few elements of your outfit that offer an alternate focal point. That’s particularly the case with semi-formal wear, in which your shoes will act as a full stop to the rest of your dress. Don’t get too caught up in ensuring your boat shoes match your colours. Choosing a complementary but different colour shoe will go a long way in creating an interesting dynamic. 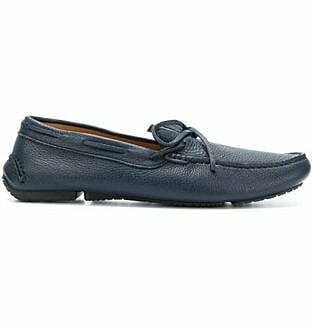 This is where your boat shoes can act as a counter-point and bring your formal wear down a notch. Some men are apprehensive about donning boat shoes with their jeans; many seem more comfortable with Seinfeld-ing together a pair of jeans and white sneakers. But they’re a combination so natural together that they should be sold together in a pack. 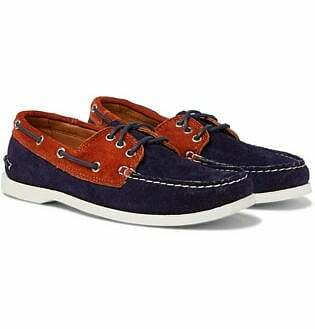 Opt for a pair of boat shoes of a similar tone to your jeans and use the colour of the laces as a focal point. 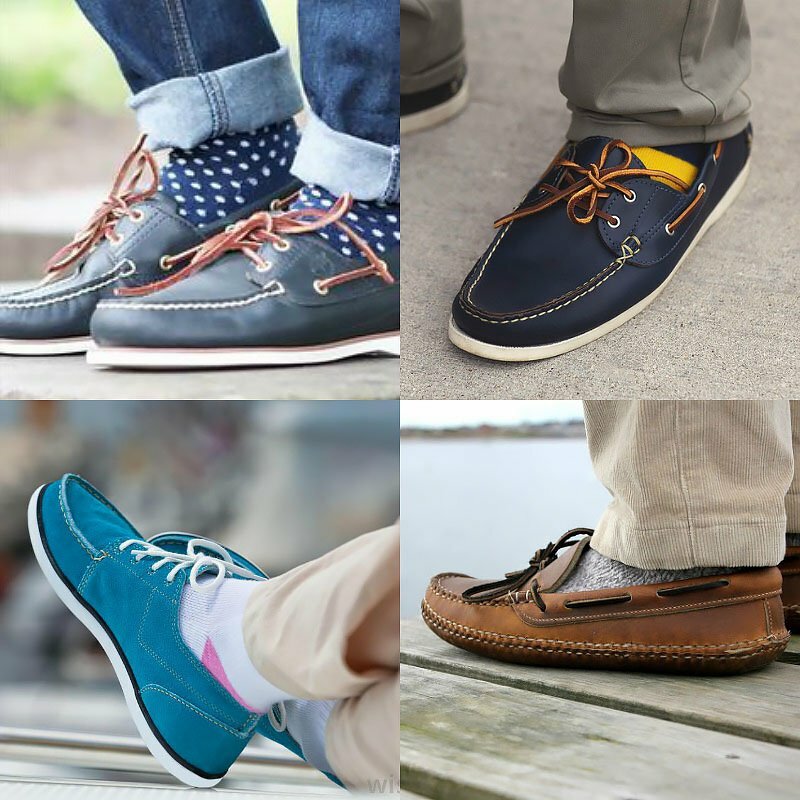 If you mention the idea of wearing socks with boat shoes, many men will laugh in your face and walk away on their blistered, un-socked feet. But as long as you are confident and smart with your selection of socks you can bring this summer shoe into your winter wardrobe. 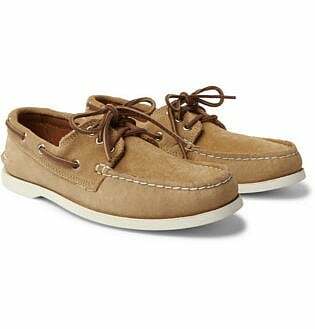 If you do choose to slip on a pair of socks with your boat shoes, you cannot just pick up a pair of woollen explorers and think that they’ll do the trick. Think about how they work in tandem and you can add another layer of interest to that part of your outfit. 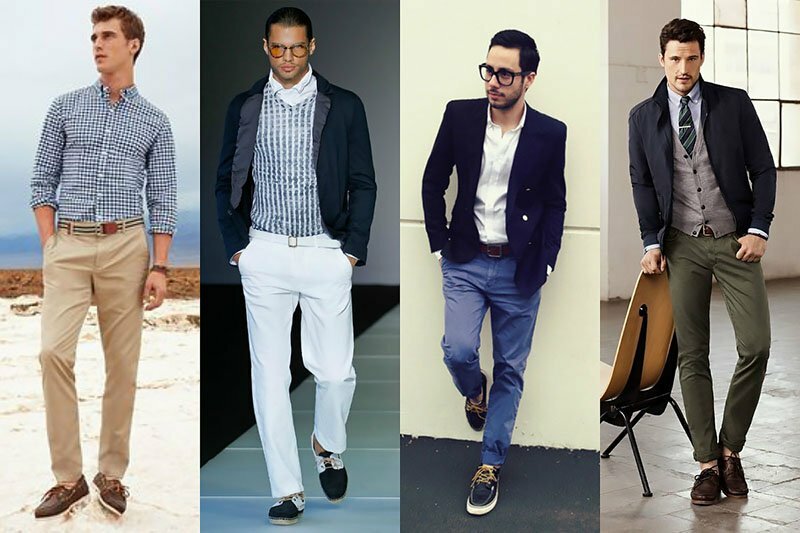 If you’re wearing a navy blue boat shoe, a splash of yellow can draw the eyes down in the best possible way. This works particularly well if you want to create with an otherwise conservative colour scheme. Brown leather goes well with woolly, woven socks and lighter tones with pastels. 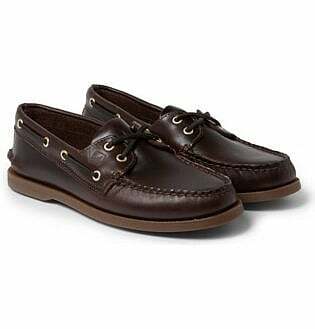 The question of how to tie your boat shoes is one that pops up for most recent converts to this type of footwear. 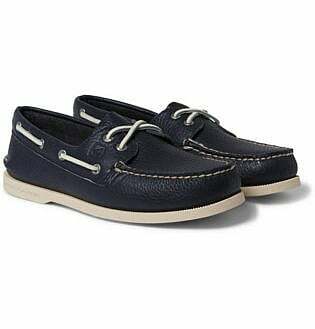 With most styles of boat shoes featuring short leather laces, they can be notoriously difficult to tie in an attractive way. Although the laces are largely there for aesthetic value, they will need to be tied one way or another. Below are four common variations for tying boat shoe laces. Surgeon’s Knot resulting in a visible traditional shoelace knot. Fishtail Knot resulting in no visible knot but instead neatly crossed-over laces. Barrel Knot a classic look that’s unique to boat shoes. Tassel Knot a twist on the traditional barrel lace look. 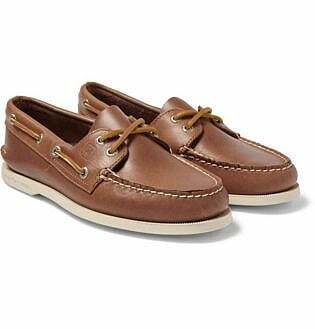 Decide on the situation you will be wearing the boat shoes. Choose a shoe style that matches your outfit. 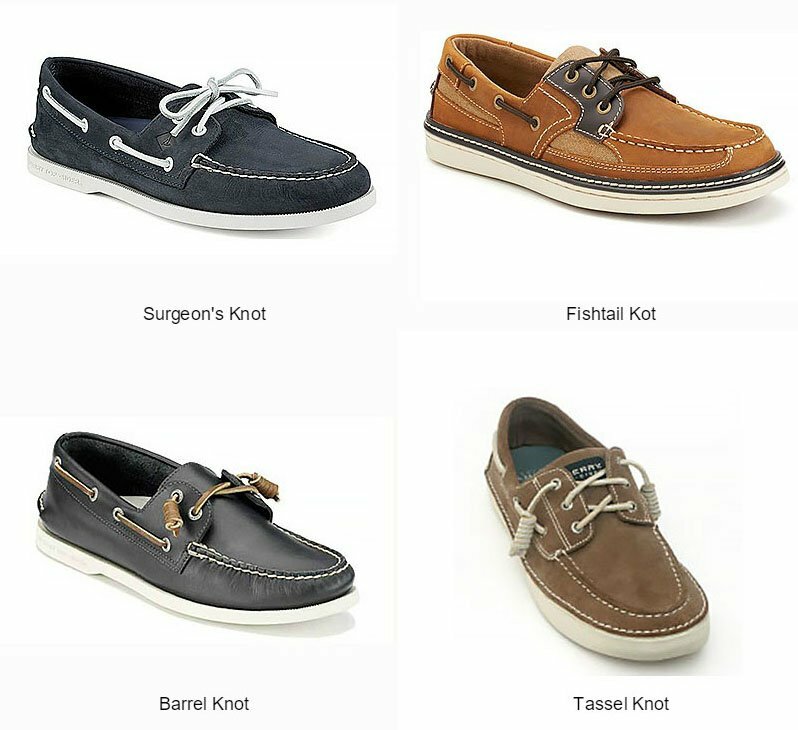 Select a canvas or leather boat shoe. 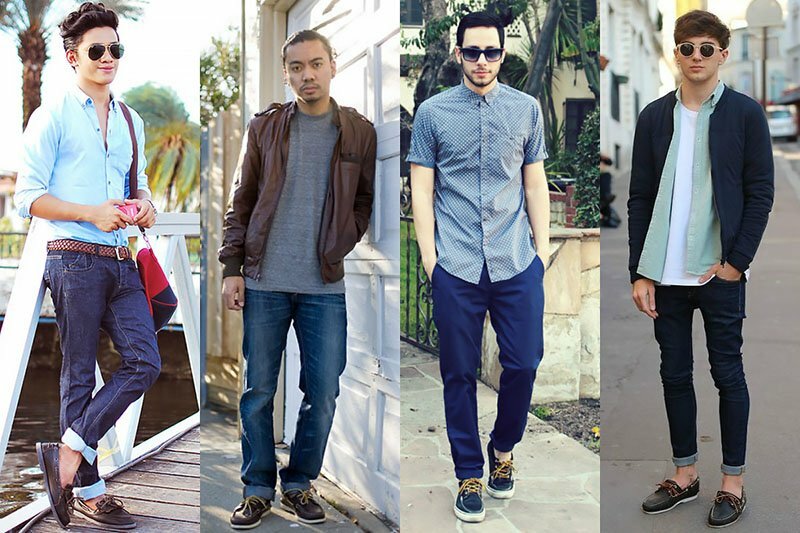 Settle on jeans, chinos or trousers to compliment your shoes.